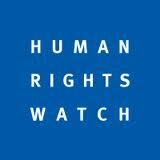 Fellows work full-time for one year with Human Rights Watch typically in New York or Washington, D.C., or in some instances in another location. Fellows monitor human rights developments in various countries, conduct on-site investigations, draft reports on human rights conditions, and engage in advocacy and media outreach aimed at publicizing and curtailing human rights violations. Past fellows have conducted research and advocacy on numerous different issues in countries all over the world. Recent examples include projects on: civil and political rights in Cuba; criminal defamation laws in Indonesia; the rights of persons with mental disabilities in Croatia; corporal punishment of children in public schools in the US; abuses against migrant domestic workers in Kuwait; and police brutality in Brazil. Applicants must demonstrate a strong background in international human rights and be committed to building a career in human rights. Research experience, including experience conducting interviews, ideally in the context of human rights research, is required. Field experience in human rights is strongly desirable. Applicants must have exceptional analytic skills and excellent oral and written communications skills in English. Proficiency in one language in addition to English is strongly desired as is familiarity with countries or regions where serious human rights violations occur. Applicants should be highly motivated and well-organized; able to work quickly and well under pressure, both independently and as a member of a team; juggle multiple tasks; and meet tight deadlines. The Fellowship year will require creativity, initiative, perseverance, and flexibility while maintaining HRW’s high methodological standards. Graduates with LL.B. degrees or advanced degrees in other relevant disciplines may also be considered. Demikian kami sampaikan tentang 2012-2013 Fellowships in International Human Rights semoga informasi tentang 2012-2013 Fellowships in International Human Rights ini bermanfaat.